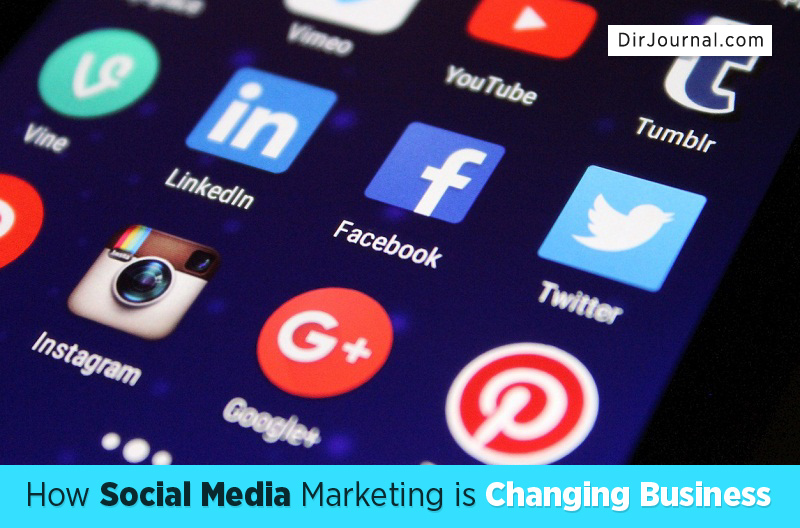 Social media marketing changed everything. Not to sound like my great-grandfather, but do you remember the days when people actually promoted their business through flyers? Or when physical contact was necessary to close deals? Social media marketing made that unnecessary. Social networks threw out the marketing playbook for everyone from the solopreneur to the largest multi-national corporations. No longer were businesses confined by their location. Instead, they now had a new way of marketing their business with large swathes of their network online. That process continues today. Social media marketing in 2015 is completely different than 2010. That is because as technology continues to evolve at a breakneck pace, we find new and innovative ways to incorporate social marketing. Begin with the end in mind – You probably heard before that only 3% of people have written goals. However, people with written goals are 50% more likely to achieve their goals. The same holds true in social media. You need to start with a written goal covering what you want and when you want to achieve that goal. By having a specific goal in mind, you can then focus your social networking on specific objectives. Search and social– One of the big technological changes is how social media and search engine optimization have integrated so nicely together. A few years ago, most marketers considered them two separate marketing tools. Now, marketers feel that both of them work best in tandem. That is because the technology has improved on both to make it more effective as a joint strategy. For example, Kenshoo studied the value of a joint paid search / Facebook ad campaign by a major retailer. By using the two largest online ad platforms together, they received a 30% boost to their return on ad spend along with a 24% increase in the average order value. As a bonus, the retailer also discovered that the cost per acquisition was 4.5% less than standalone ad campaigns on paid search. While social media and search engine marketing both have the ability to help your business, they magnify the results of the other side when used in combination. Engagement – The word “engagement” gets tossed around in social media more often than I care to admit. Yet, it is a valuable part of social media marketing. That is because when it comes down to it, if your brand does not have the capacity to build relationships with prospects over social media than you will probably never succeed using this medium. How else can social media marketing work if you do not want to talk to people who follow you? Be Unique – Perhaps no brand does this better than Burger King. The home of the Whopper has had quite a few whopping successes in the social media arena over the past few years. First they took on McDonalds head on. Burger King posted a newspaper ad / open letter in the New York Times in August asking McDonalds if they could create a joint McWhopper. The profits from the burger would go to charity. McDonalds refused the offer, and Burger King – despite having a budget 5 times less than McDonalds – looked like a champ. Furthermore, they have also paid a number of celebrities to have the Burger King “King” attend various sporting events around the country. He was in Nevada in May for the Floyd Mayweather-Manny Pacquiao fight. Because he was sitting next to Mayweather’s entourage, including Justin Bieber, Burger King was able to advertise for a measly $1 million to a focused audience of 4.4 million viewers. This is a fraction of the price of a Super Bowl Ad. Plus, it was supposed to be an ad free fight. They got around this rule by having the King attend the fight. Different platforms – The final component we need to discuss is what social platforms to use for your campaign. Your target market plays a crucial role in deciding which social networks to use to market your business. For example, if you want to reach the important millennial generation in Australia, you need to know where they hang out. According to statistics, 97% of 18-29 year olds are on Facebook. Not surprising, since 92% of all Australians use Facebook. However, only 14% of millennials are on Tumblr, while 23% are on LinkedIn. The only social networks with higher rates of millennial social media usage are Instagram (53%) and SnapChat (38%). If you were to do a random sampling of social media experts, almost none of them would tell you that LinkedIn is a better place to connect with 18-29 years over Tumblr. However, the statistics bear out the fact that they would be wrong. What this means is that how you use social networking platforms should not follow what you want, but instead what your audience wants. Note: If you are not sure what they want, then ask them. Use surveys, questions, and polls to determine what your audience wants from you. As social media continues to evolve, it is important that your business stay up to date on the trends. Part of this is researching what is going on in the industry. A larger piece of the puzzle is staying in contact with your network. The final part of your social media efforts is staying true to your plan. When you can create the type of engagement and value your network wants, you have the ability to dramatically help your businesses outlook. In the meantime, let us know in the comments below how social media marketing is changing your business. Do you want to inject life and personality into your social campaigns? Then let Shout be your social media marketing agency.